With the recent military operations on the part of the Arab League against the Yemeni Houthi rebels, much has been made of the operation in the mainstream media outlets. Unfortunately, the overwhelming majority of information provided regarding this act of military aggression is inaccurate, skewed, or an outright falsehood. The Western mainstream press is reporting the Arab League operation in precisely the manner in which the State Department and related government agencies prefer for the operation to be reported – as if it were an attempt by the Arab League to put down a violent rebellion that threatens “stability” and “democracy” in the Middle East and to combat a proxy war that was initiated and controlled by Iran. While a detailed discussion of the situation in Yemen is beyond the scope of this article, there are nevertheless a number of facts that must be addressed. While the general representation of Houthi forces in the Western mainstream press is that they are proxy forces created and controlled by Iran in order to fight against the Sunni nations and the US-allied Gulf State monarchies, the truth is that the Houthis are not Iranian proxies at all. The Houthis are an entirely indigenous force made up of Yemenis who have been fighting government oppression since the so-called Arab Spring found its way into Yemen. There are, of course, ideological and religious similarities between the Houthis and the ruling governmental structure of Iran, both being Shiite and both opposing the US-Saudi alliance. Indeed, the Houthis and Iranians are brothers in arms in much the same way as Iran and Hezbollah maintain similar allegiances, though clearly not to the extent of the Hezbollah/Iranian relationship. Still, Iran has apparently provided some assistance to the Houthis in their battle against Western puppets and Western-backed al-Qaeda groups as well as financial and, presumably, intelligence assistance. However, the provision of minimal assistance – while clearly geopolitically motivated – is not the same as maintaining a proxy force. To that end, there has been no evidence to show that Iran controls the Houthis and directs their fighters as a proxy army. The leader that the Saudis, with the backing of the United States and NATO, have rushed in to protect was by no means a “democratically-elected” President. Abd Rabbuh Mansur Hadi was placed into power by a deal brokered by the GCC after the previous President was overthrown. Hadi was “elected” but was the only candidate running for office, meaning that he was, for all intents and purposes, placed into power by the GCC. The previous President, Ali Abdullah Saleh, was forced to resign as a result of the Western-controlled Arab Spring color revolution in 2011. Hadi himself was not only complicit with the geopolitical goals of the United States and Saudi Arabia but he was involved in the support of Western-backed groups like al-Qaeda and their activities inside Yemen. It should also be noted that, while Saleh was deposed by protests directed by the West, Saleh was himself largely controlled from Washington, D.C. Saleh worked with the United States in their drone bombing program inside Yemen, as well as ceding territory to al-Qaeda terrorists. Saleh was notoriously oppressive in his rule and was rewarded for killings and torture of protesters by a lavish hotel room in the United States after he was removed from power to make room for the new boss who was the same as the old boss. No one should be capable of executing enough mental gymnastics to convince themselves that Saudi Arabia is in the slightest concerned with democracy or human rights. Indeed, the country itself has neither. Clearly, Saudi Arabia or the Arab League is not concerned with the will of the Yemeni people either. The reason that Saudi Arabia has jumped at the opportunity to invade Yemen is not to defend against Iranian influence, but to prevent it. While the Iranians do not have control over the Houthi movement today, a total seizure of power of the Yemeni government by the Houthis would no doubt produce that influence in the very near future, thus causing Saudi Arabia to be partially surrounded by the Iranian arc of influence, scant and geographically broken as it may be. This is precisely why the United States and Israel are behind the GCC and Arab League in this maneuver as well as to protect the US puppet leader that has been removed as figurehead of Yemen, a slight glitch in the power matrix that the West would very much like to remedy as soon as possible. The truth is that the Arab League, GCC, Saudi Arabia and its US/NATO/Israeli backers are engaging in direct military action against Yemen now is because its ability to control the affairs of the state via political puppetry, bribery, and color revolutions has ceased to produce results. In other words, hard power is being employed because soft power has failed. The military action and the stance taken by NATO, the US, and the West in regards to Yemen versus Syria and Ukraine is yet another openly hypocritical position taken by these powers in an attempt to justify their geopolitical goals. For instance, in Yemen, it is considered an offense worthy of a “coalition” invasion from the Arab League if the Houthis overthrow a president that was essentially placed in his position by a foreign power after that foreign power had coordinated the revolt that sent him packing in the first place. It is considered a violation of international law if the Houthis oust this “leader” and replace him with someone else. In Syria, however, there is no barbaric atrocity or literal crime against humanity that is not justified in order to facilitate the destruction of the government of Bashar al-Assad. While Yemenis are condemned for overthrowing their corrupt and oppressive government, the legitimate, secular, and reforming leadership of Bashar al-Assad is considered illegitimate. The so-called “rebels” in Syria are considered the representation of democracy. The rebels in Yemen are considered a threat to international order. In Ukraine also, the US instigated a color revolution that saw the ousting of a democratically (relatively speaking) elected President. In Ukraine, however, unlike Yemen, the individuals on the ground who overthrew that government engaged in a campaign of attempted extermination of select members of their countrymen and were hailed as heroes and worthy of support, even to the point of pushing the possibility of nuclear war with Russia by the United States. Clearly, some “rebels” are more equal than others. The concept of “international law,” “democracy,” “human rights,” and “self-determination” are obviously one-way streets. The representation of Iran’s involvement in the rebellion in the Western mainstream press is equally hypocritical. Remember, in both Ukraine and Syria, the United States has been not only the initiator of the destabilization but an open supporter of it. In Yemen, however, Iran is being painted as an international terrorist and destabilization artist. Although there is little evidence to point to Iran as being behind the Yemeni rebellion, its role has been painted as a meddler. The US, NATO, and the GCC, however, are painted as friends of democracy and human rights. The Arab League aggression in Yemen has now created a dangerous precedent for the crisis growing across the Middle East, particularly in Syria. With the Arab League, particularly Saudi Arabia, granting itself the authority to invade countries at will based on phony pretexts (in true American fashion), many are beginning to wonder whether or not the same type of action will soon take place in Syria. While the pretext is not likely to be the “rebels” that the Saudis, Qataris, Kuwaitis, Jordanians, and other feudal monarchies have been openly supporting since the beginning of the foreign-backed terrorist invasion, it may very well be based upon alleged claims of Assad’s “crimes against humanity,” “chlorine bombs,” “barrel bombs,” or other phantom atrocities. With the Western public so out to lunch, a Saudi invasion of Syria based on human rights concerns will no doubt go unnoticed. After all, their own country’s invasion of foreign countries has gone unnoticed in the past, so there is no reason to think the American people will be awake at the wheel for a Saudi act of war and aggression. With that in mind, it is unfortunately believable to wonder whether or not the Arab League may in fact use the presence of ISIS or al-Qaeda in Syria as a means to initiate a bombing campaign against the Syrian government since absolutely ridiculous narrative of Assad’s “cooperation with” or “indirect support” to ISIS has been floated with relative success amongst the general public. Regardless, the actions of the Arab League in Yemen are a bad omen for Syria and Assad. In the end, the Yemeni operation is nothing more than another move on the geopolitical grand chessboard by team NATO and its allies and associates in the GCC and the Arab League including Israel. The Anglo-American goal in Yemen is to restore the “order” that was disturbed when Western puppet Hadi was removed by the Houthi rebellion. It is also designed to prevent any entrenchment of Iranian influence in Yemen. 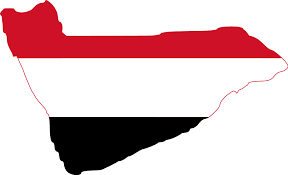 Unfortunately, not only has Yemeni self-determination been attacked by the Arab League and the Anglo-Americans, but a dangerous precedent has been set for other potential battlefields across the Middle East, particularly for Syria.